Hello, again! I unintentionally took a very long break from blogging, so let me update you on the last few months of craziness. 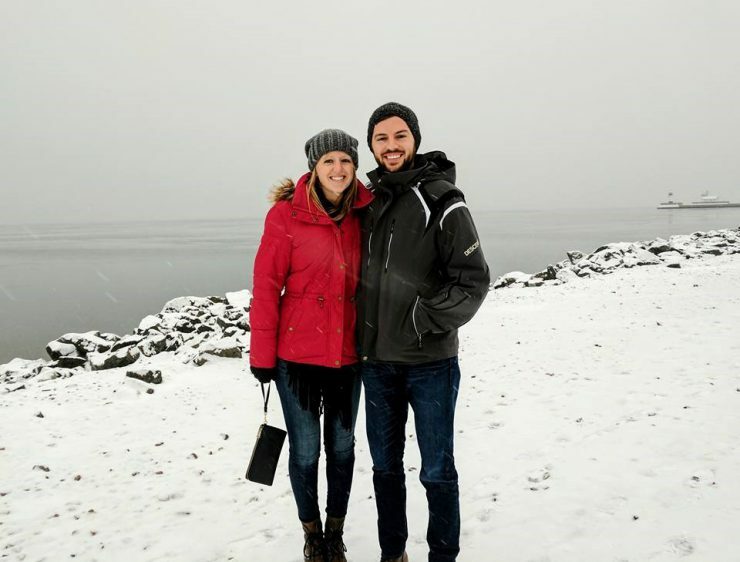 Evan and I traveled to Minnesota for Christmas and spent a very nice, relaxing week with my family. Toaster made the trip with us and enjoyed every minute of playing in (and eating) all of the snow. In addition to the usual Christmas festivities, the whole Tondryk clan met up at my sister’s house the day after Christmas and we went on a “sleigh ride.” It was freeeezing so we all bundled up and went for a short ride through the trails around her house, singing Christmas carols and drinking hot cocoa! 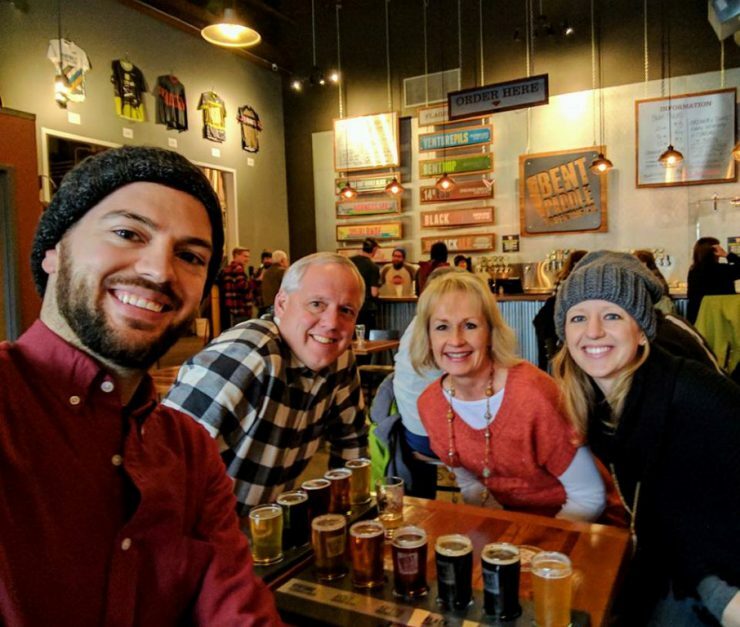 We also we visited Bent Paddle (one of my favorite breweries) with my parents; their black ale and cold press black ale are so good! We also ventured down to Canal Park Brewery for lunch and got some pretty awesome views of Lake Superior. Just kidding. 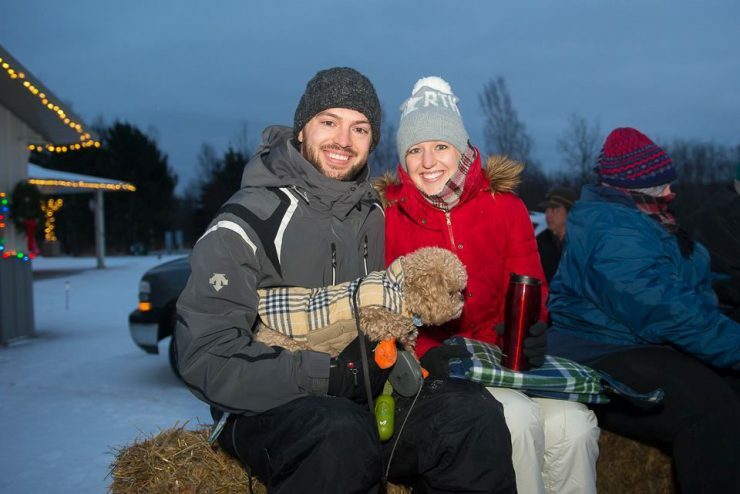 We traveled back to Seattle and spent our first New Year’s Eve at our house. We picked up a mini bottle of champagne and watched the fireworks at the Space Needle from our bedroom window. So romantic I know. You’re probably wondering why I’m saying it’s been a crazy few months. Up until this point it wasn’t. Keep reading. The following week, we were both at work when we received a message from our neighbor saying we had water pouring out of our house. 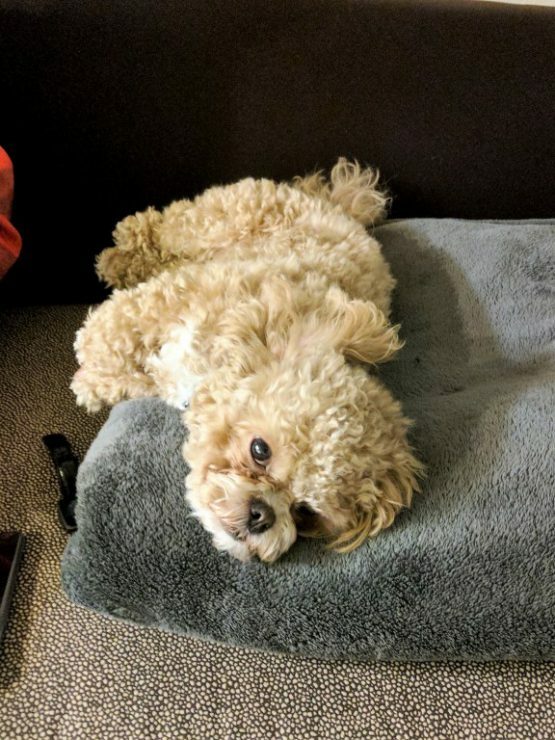 In a panic, we both ran out of our offices and rushed home. 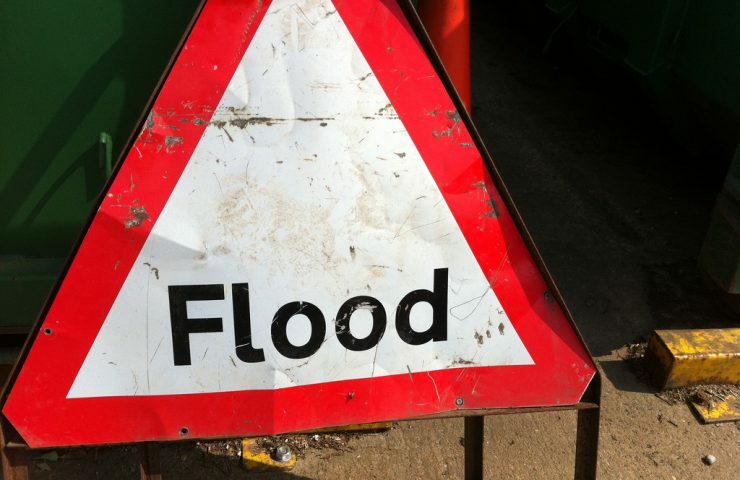 We contacted our builder and by the time we arrived at home, he was already there and turned the water off. It was pretty surreal walking in the front door, feeling water drip on my head, and putting my rain boots on to walk around the house and assess the damage. One of the pipes in our exterior wall on our rooftop deck was not insulated and it froze and burst, causing water damage to about half of all three levels of our house. Our master bedroom, living room, and entryway got hit the hardest. 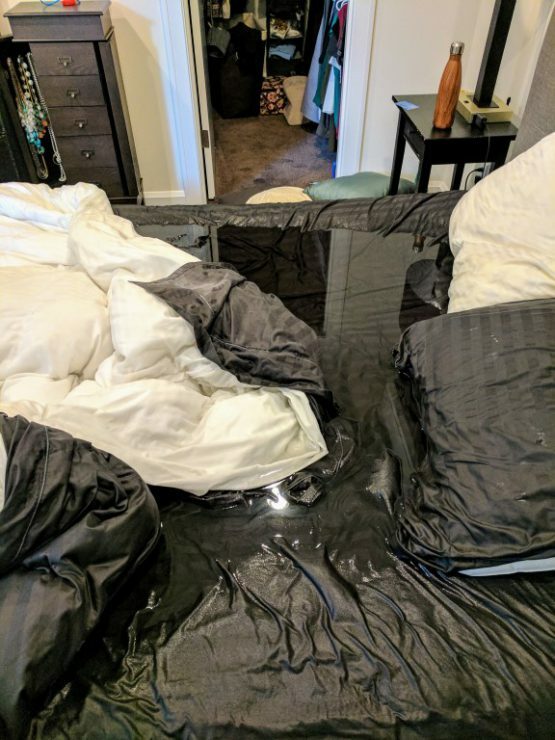 I removed about 20 gallons of water from our bed alone. 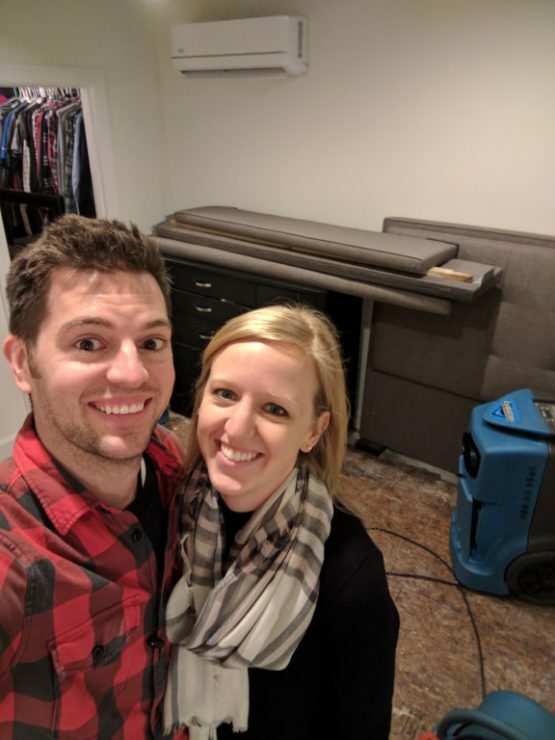 Evan, our neighbor, and our builders dealt with the water in our living room and started moving furniture to the dry areas of our house. 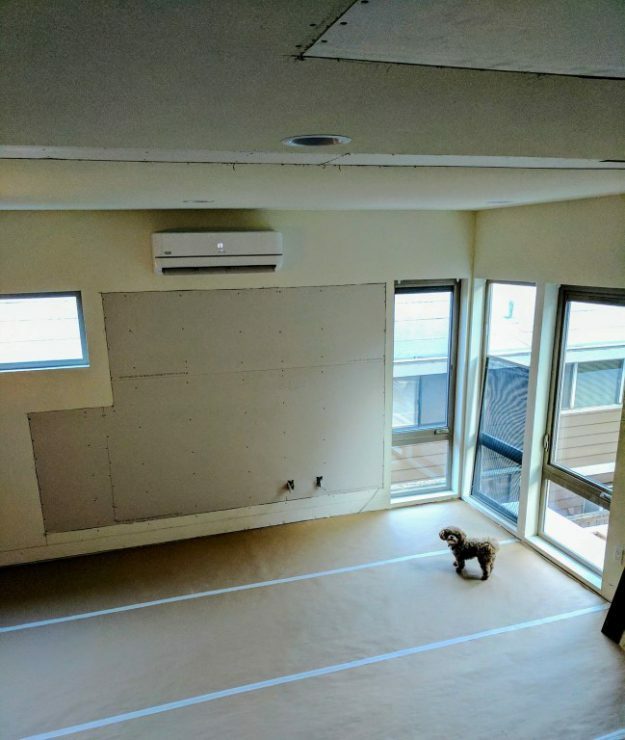 Our builders pulled up all of our carpet and cut some holes in our ceiling to assess the damage. 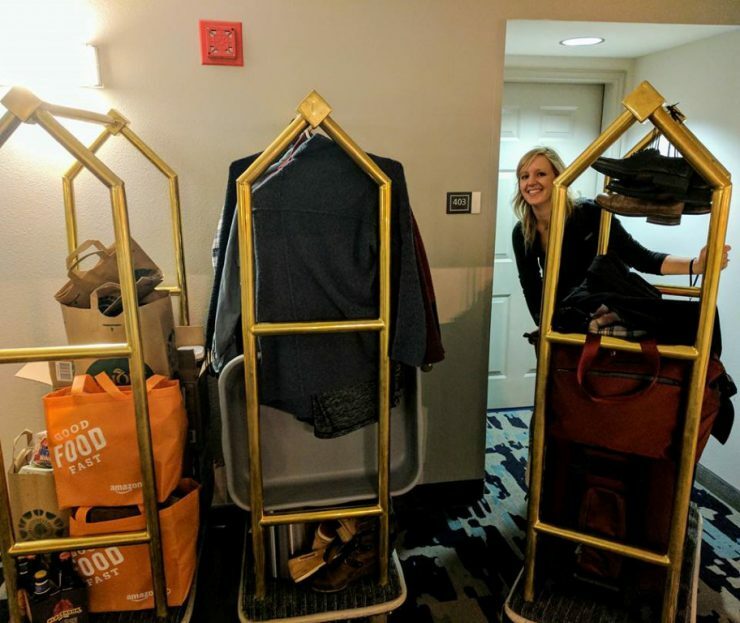 We also packed up a few suitcases worth of stuff and moved into a hotel in downtown Seattle. I don’t think Little Toaster knew what the heck was going on, but she quickly adjusted to life in a hotel. Since our house is still under warranty (and since the uninsulated pipe was a building error), the claim was filed through our builder’s insurance company. What we expected to be a smooth process, turned into quite the headache. 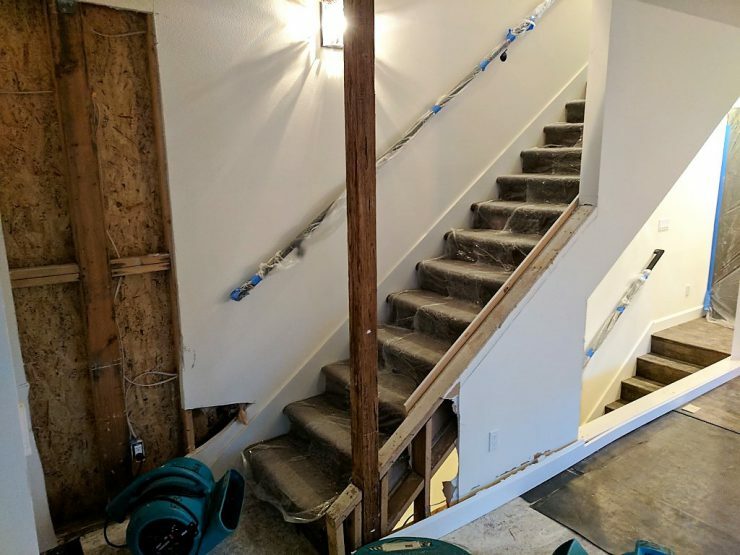 We expected to have Service Master in the house within the first couple of days to perform the water remediation, but unfortunately this wasn’t the case. 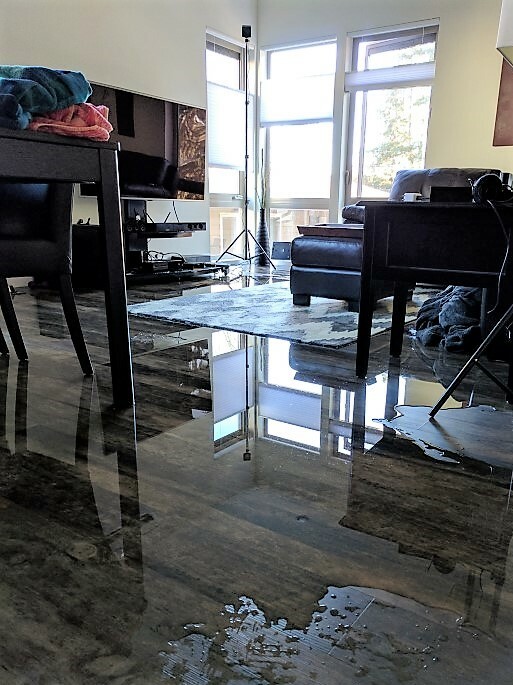 Our builder was reluctant to file a claim and wanted to deal with the water damage himself. We obviously fought again this. In retrospect, we should have filed a claim through our own insurance; we would have had more control over the work being done and the timeline of when it occurred. 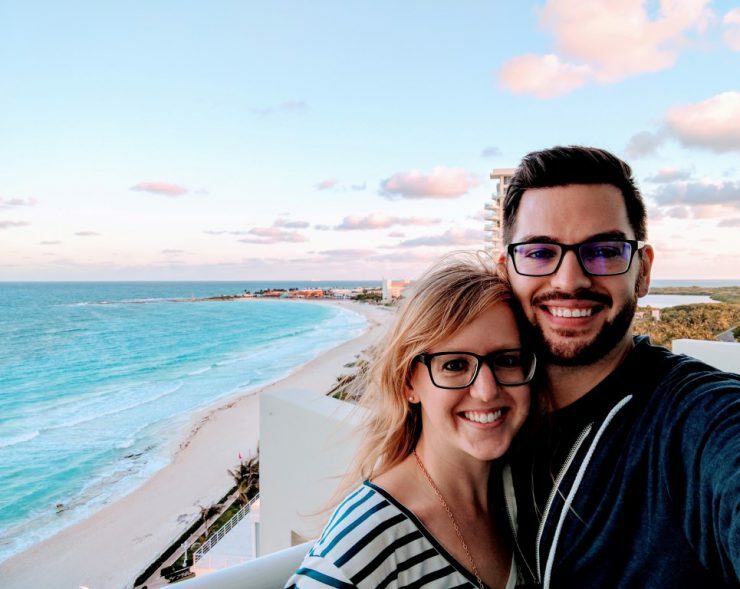 Although it was a rough process, Evan was incredibly persistent and dedicated a lot of his time to contacting everyone involved and making sure the water remediation occurred. Gradually, all of the affected areas of the house were opened up and Service Master was given the go ahead to deal with the water. 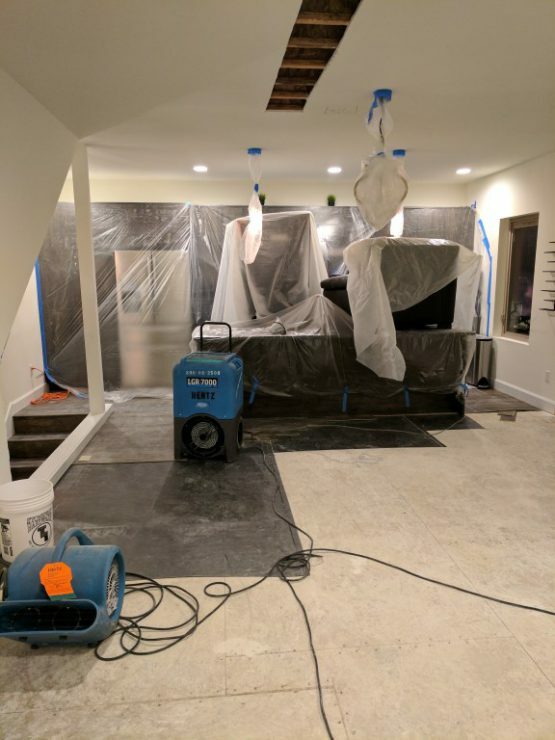 After about two weeks since the incident, the water remediation was complete and our builder started the rebuilding process. The whole rebuild process took several weeks. 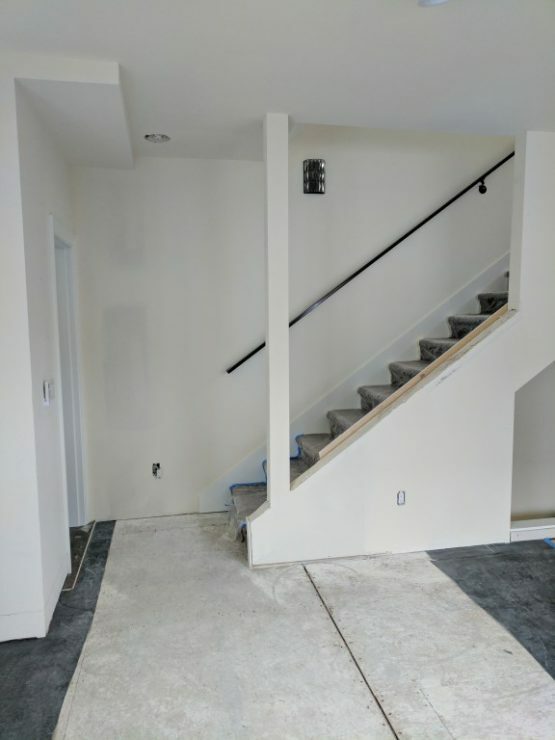 All of the walls needed to be re-sheetrocked, textured, and painted, and the hardwood flooring and carpet needed to be replaced. We made several trips a week up to the house to check on the progress. 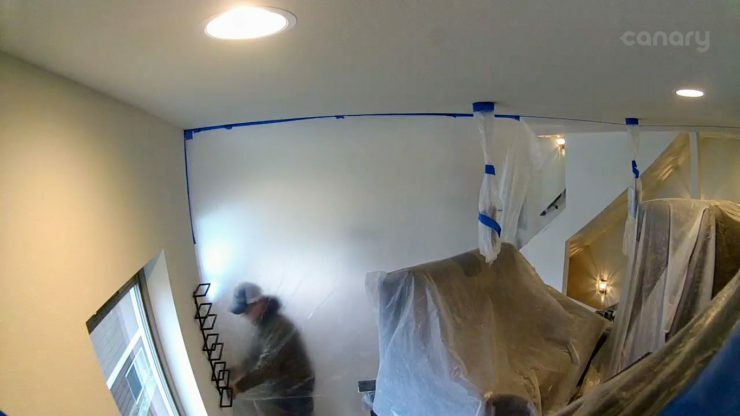 And of course we checked in on the progress via our security camera. I’m glad we caught this “Dexter-style” kill room on camera. I believe they were texturing the walls this day. Meanwhile, Evan and I were still living in an extended stay hotel near Lake Union. We had a mini kitchenette and a small living room, but it definitely was not home! We were both super busy at work and getting home way too late, so we were living off of pizza and Uber eats. 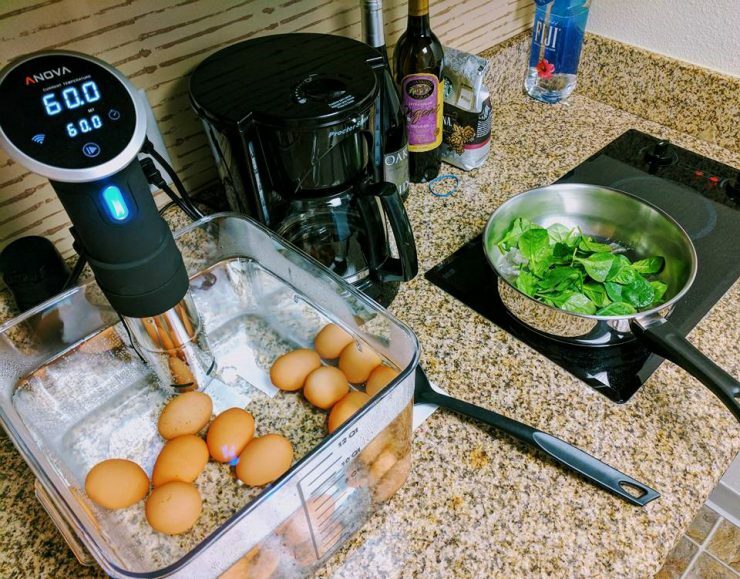 We did, however, pack our sous vide and managed to make eggs benedict a few times in our limited space. I can only imagine what housekeeping thought when they cleaned our room and saw this setup. Finally after about 6 weeks, the rebuild was mostly complete and we moved out of the hotel. Farewell Room 403! 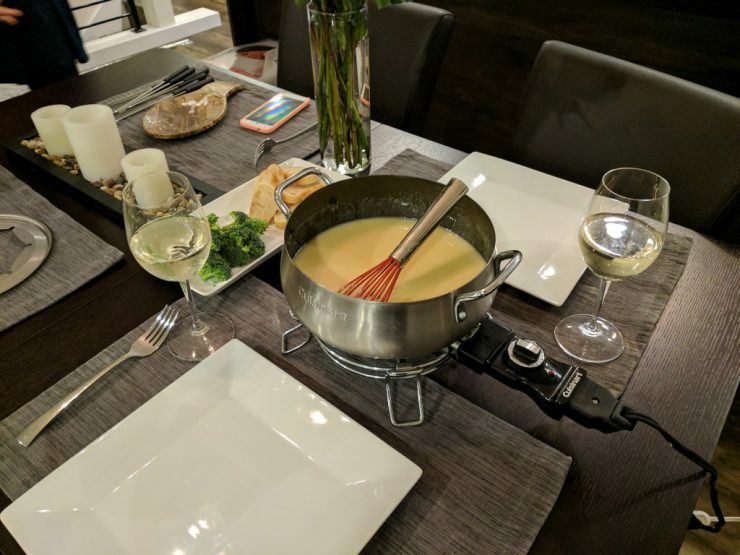 We moved back in just in time for our annual Valentine’s Day fondue dinner. I can’t even explain how great it was to be back in our house! Since then, we’ve spent a lot of time getting re-situated. We had to completely re-move back in; the only difference was our stuff was piled up in dry rooms instead of boxes. We’ve made a lot of progress though and we’re pretty much back to where we started pre-flood. Also, in true Wondrasek fashion (ok, it’s mainly Evan), we invested some time and money in helping us avoid a similar situation in the future. 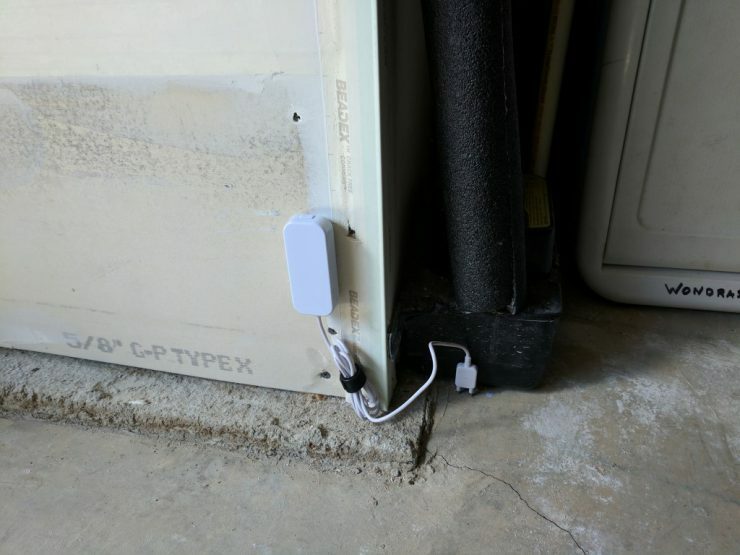 We bought a ton of water sensors and placed them in critical locations throughout the house. If any of the sensors detect water in the future, we’ll be notified immediately on our phone and can act on it. 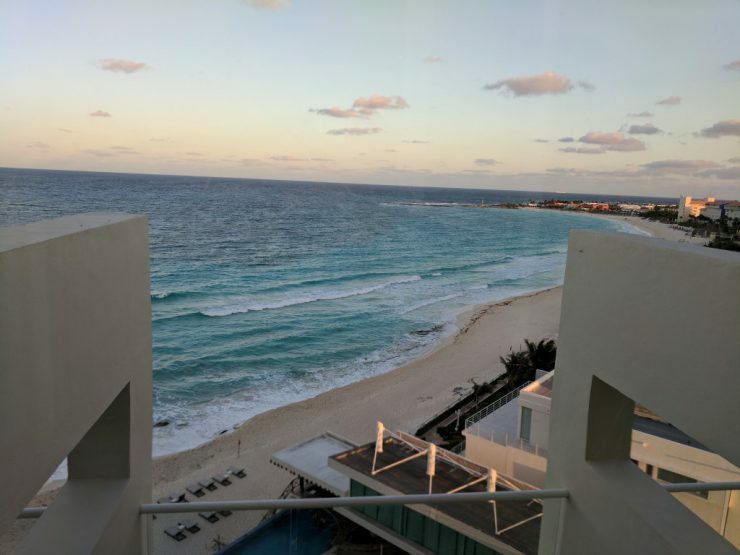 Even though the last thing Evan and I wanted to do after moving back in was to stay in a hotel, we decided a vacation in Mexico would be a nice, relaxing way to regroup and escape the crappier-than-usual Seattle winter. 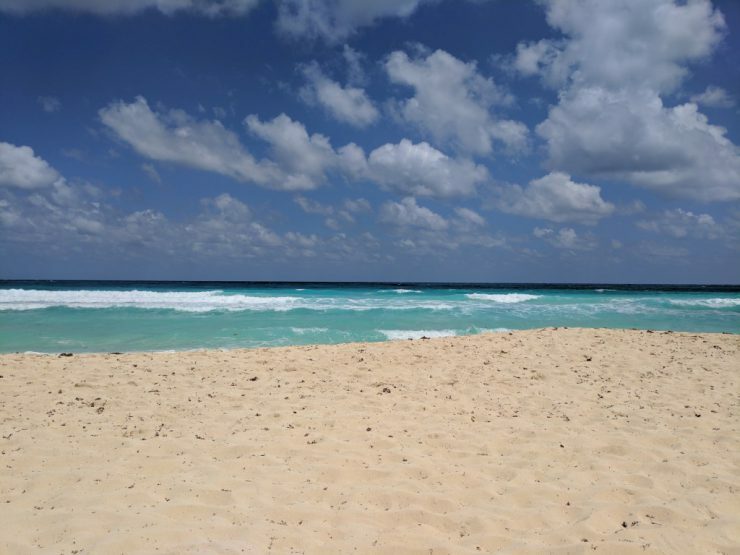 At the end of March, we traveled to Cancun and spent 4 days on the beach, reading and drinking piña coladas. The warm weather and relaxation was just what we needed. And it was well-timed because as soon as we returned, work got insanely busy. I’ve been working on a significant project that has probably been one of the most unique and challenging projects of my career, and the result has been a lot of late nights in the office. Our final plan set was submitted a few days ago, in the very early hours of the morning. I’m looking forward to the start of construction and finally being able to tell my family and friends what I’ve been working on for the past year. With work settling down and our house in good shape, I’m really looking forward to cooking more regularly, investing more time into my hobbies, working on the rooftop garden we just planted over the weekend, and enjoying the summer months of Seattle!